Two FC Goa players named in the probable squad are - Jackichand Singh and Manvir Singh. Jackichand Singh has been racking up decent performances with FC Goa this season, which has made Constantine call for the player once again. He has already scored two goals for FC Goa this ISL season. Jackichand too got into national team books after his performances at the ISL. He made his national team debut in 2015 and has played 16 games so far, scoring two goals. It will be a tough fight for the 26-year old to get a place, with the likes of Udanta Singh and Halicharan Narzary competing. Manvir Singh has not got much time on the field with FC Goa this season. He has appeared in 4 matches, mostly as a substitute. 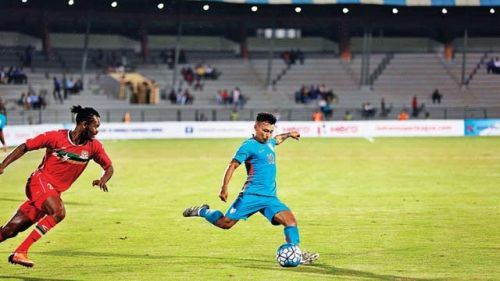 The striker has played four matches for the Indian team and scored three goals, two of which came in the SAFF Championship 2018. With players like Sunil Chhetri, Jeje and Balwant Singh available, Manvir Singh seems to be a doubtful name in the final XI. Indian Football: Roadmap Ahead - How can AIFF make ISL, I-League and National Team better? Indian Football's #10YearChallenge - How did these ISL and I-League legends look 10 years ago? Sportskeeda Awards 2018: Who was the best in Indian football?